ExamSoft is known for being a secure testing software for all types of educational programs or licensing bodies. However, regardless of the precautions taken, students are extremely creative and still find ways around the system. This presentation will focus on best exam creation and test building practices to minimize cheating. We will cover items related to using this exam tool for item writing, exam posting, remote deletion, proctor checks, day-of set up and more. ExamSoft’s exam snapshot reporting makes it more difficult for students to cheat and increases the risk of students getting caught cheating. 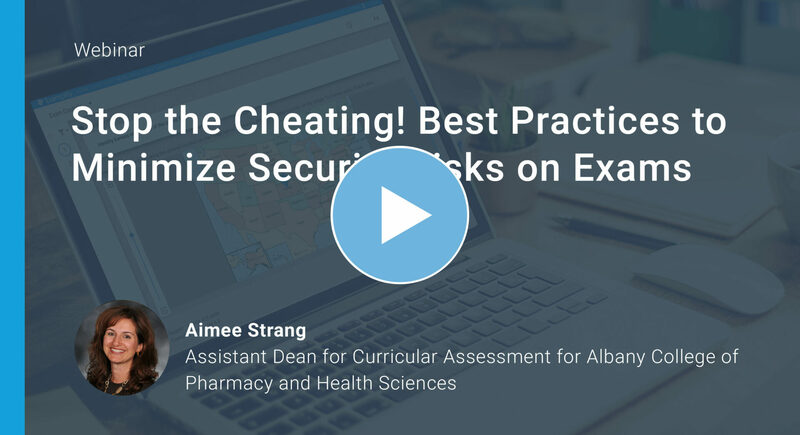 Randomizing question and answer choices, avoiding question grouping, and disabling backwards test navigation are some of the item writing and exam creation techniques that can minimize exam security risks. Exam delivery strategies, such as assigned seating and the use of additional proctors, work to reduce academic dishonesty on exam day.